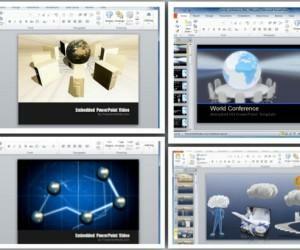 A jigsaw puzzle themed presentation template can be used for presenting many ordinary subjects with an interesting take. 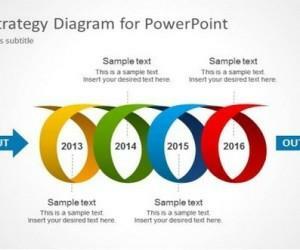 This might include presentations about business strategy, financial planning, or even academic presentations on politics, economic policies, etc. 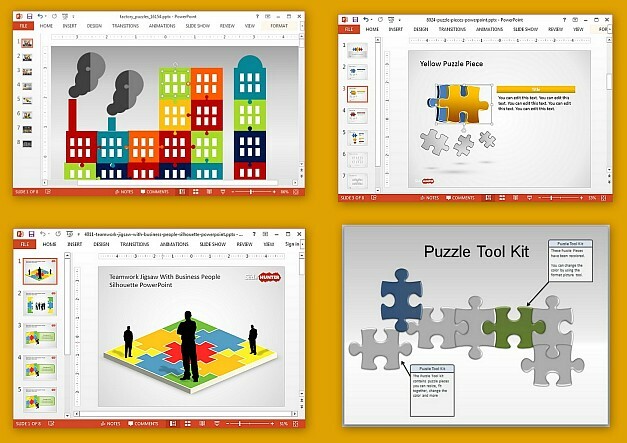 Here are a few Jigsaw Puzzle Templates for PowerPoint you might find handy for professional and academic presentations. 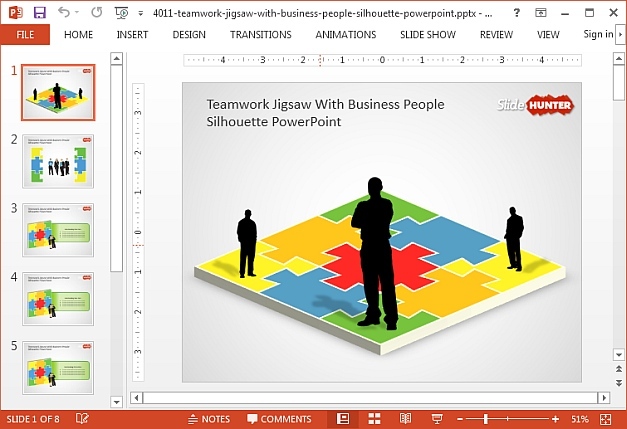 The Puzzle Pieces Template for PowerPoint is a toolkit for making custom jigsaw puzzle slides using puzzle pieces and sample diagrams which can be easily customized via drag and drop. You can also create your own combinations using the given jigsaw puzzle pieces. This colorful template depict multiple puzzle pieces making up factory illustrations. 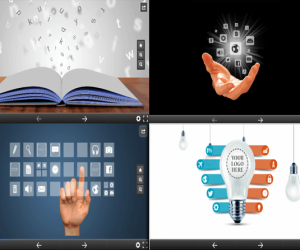 These puzzle pieces can be recolored and readjusted as per need and you can even use the available readymade slides just as they are by simply adding text and images to elaborate your presentation topic. 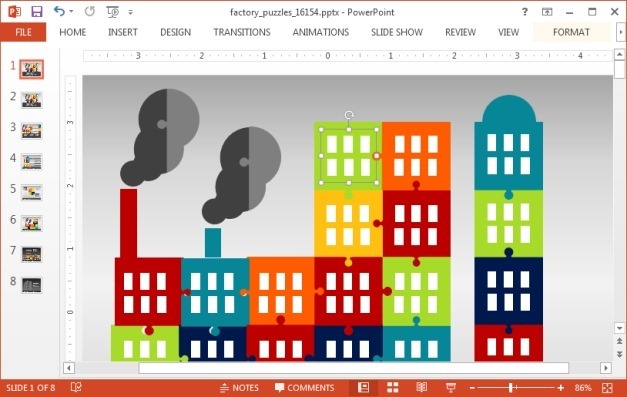 You can find out more about this animated jigsaw puzzle template from our review of the Animated Factory Puzzle PowerPoint Template. 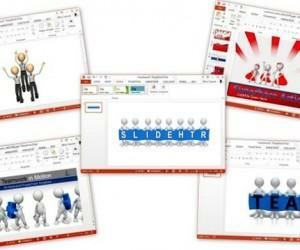 This free template provides business themed slides with jigsaw imagery. 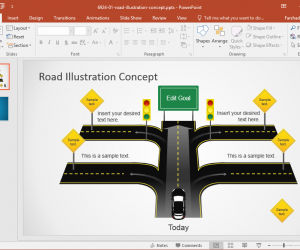 Using the generic sample slides you can create professional looking business presentations, especially ones related to team projects and project management. 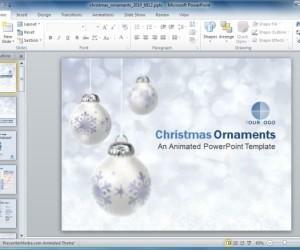 With various puzzle piece shapes, this is another free template which can be moulded according to different topics. 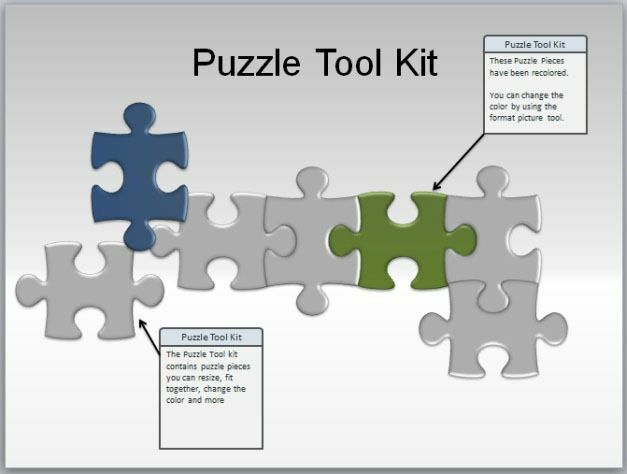 The Jigsaw puzzle slides provides layouts with 3D adjustable puzzle pieces with placeholders for adding your own text. 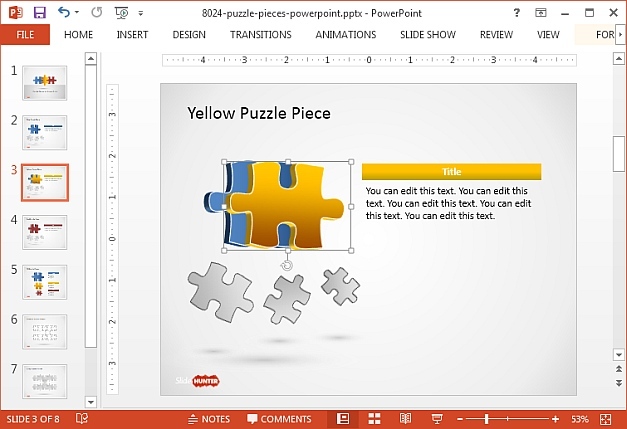 You can drag and drop puzzle pieces to create your own jigsaw illustrations, diagrams and slide layouts.